SKU: CDG Categories: Mens Health, Womans Health Tags: Calcium-d-glucarate., liver detoxifcation Brands: Douglas Laboratories >. 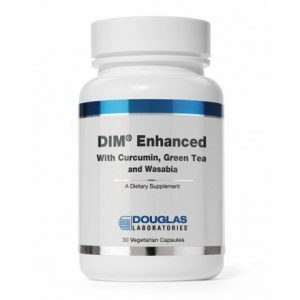 D-glucarate is found in grapefruit, apples, oranges, broccoli, and Brussels sprouts.1,2 D-glucarate supports the body’s cleansing system — a detoxification mechanism called glucuronidation. The human body uses glucuronidation to make a large variety of substances more water-soluble, and, in this way, allow for their subsequent elimination from the body through urine or feces (via bile from the liver). 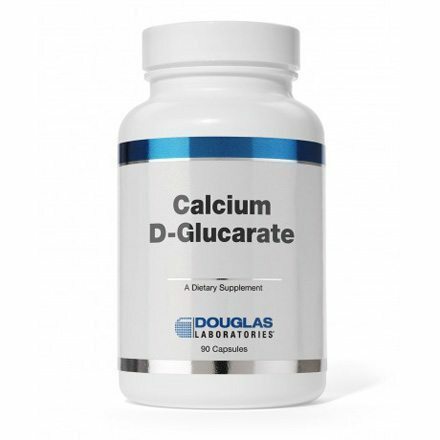 Calcium D-Glucarate, provided by Douglas Laboratories, is a natural supplement of D-glucaric acid bound to calcium. Calcium d-glucarate allows excess estrogen to be passed out of the body. 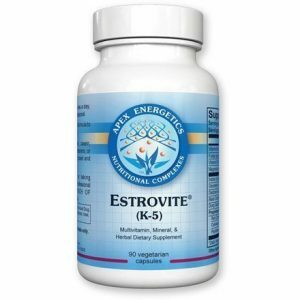 Estrogen dominance is one of the leading causes of infertility, mood imbalances, and other health problems in women. One of the most common treatments for high estrogen levels in a drug called tamoxifen. Tamoxifen has numerous side effects including stroke, blood clots, uterine cancer, and cataracts. A review in 2003 said calcium-d-glucarate could be as effective in preventing cancer as Tamoxifen. Both men and woman who have hormone imbalances can benefit from using calcium-d-glucarate. When Calcium-d-glucarate is taken orally, it’s metabolized into glucaric acid. This is the active form of calcium-d-glucarate and the one produced naturally by the body. Glucaric acid is not available as a supplement by itself which is why you need to supplement with Calcium-d-glucarate. Glucaric acid binds to toxins in the stomach which are then removed in the urine. Glucaric acid is also circulated around the body where it performs the same function – scavenging and releasing toxins. 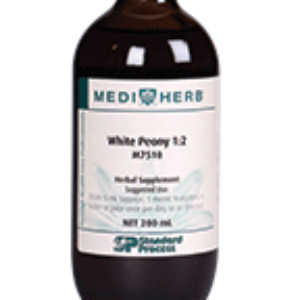 Removing toxins from the liver will increase liver function and promote a healthy metabolism. It will also allow your liver to flush out other toxins that would otherwise cause problems. Ketogenic diets, Paleo diet and Autoimmune paleo tend to be higher in protein than the Standard American Diet. Our livers and kidneys efficiently process proteins into nitrogen and finally remove harmful byproducts like ammonia. However, we live in toxic world that is increasing becoming more polluted. Some of these toxins and pollutants include antibiotics, xenoestrogens, air pollutants, heavy metals, endotoxins and mycotoxins from bacterial and fungal infections. This compromises our liver and creates oxidative stress. Our modern world is so polluted, that humans don’t always have the necessary means to fend off natural byproducts of a healthy metabolism. If you’re consuming a high protein diet (25-35 percent or greater), you should consider supplementing with Calcium-d-glucarate. One to two capsules daily as a dietary supplement, or as directed by physician. People with estrogen dominance may benefit from taking as much as 3000-4500 mg a day – ask your doctor before adding any supplement to your regimen. Abou-Issa H, Moeschberger M, el-Masry W, et al. Relative efficacy of glucarate on the initiation and promotion phases of rat mammary carcinogenesis. Anticacner Res 1995;15(3):805-10. Abou-Issa H, Koolemans-Beyen A, Meredith TA, Webb TE. Antitumor synergism between non-toxic dietary combinations of isoretinoin and glucarate. Eur J Cancer 1992;28A(4-5):784-8. Abou-Issa HM, Duruibe VA, Minton JP, et al. Putative metabolites derived from dietary combineations of caclium glucarate and N-(4-hydroxyphenyl)retinaminde act synergistically to inhibit the induction of rat mammary tumors by 7,12-dimethylbenz[a]antracene. Proc Natl Acad Sci USA 1988;85(12):4181-4. Dwivedi C, Heck WJ, Downie AA, et al. Effect of calcium glucarate on beta-glucuronidase activity and glucarate content of certain vegetables and fruits. Biochem Med Metab Biol 1990;43(2):83-92. Dwivedi C, Oredipe OA, Barth RF, et al. Effects of the esperimental chemopreventive agent, glucarate, on intestinal carcinogenesis in rats. Carcinogenesis 1989;10(8):1539-41. Heerdt AS, Young CW, Borgen PI. Calcium glucarate as a chemopreventive agent in breast cancer. Isr J Med Sci 1995;31:101-105. Oredipe OA, Barth RF, Dwivedi C, Webb TE. Dietary glucarate-mediated inhibition of diethylnitrosamine- induced hepatocarcinogenesis. Toxicology 1992;74(2-3):209-22. Oredipe OA, Barth RF, Hanausek-Walaszek M, et al. Effects of calcium glucarate on the promotion of diethylnitrosamine-initiated altered hepatic foci in rats. Cancer Lett 1987;38(1-2):95-9. Oredipe OA, Barth RF, Dwivedi C, Webb TE. Chemopreventive activity of dietary glucarate on azoxymethane- induced altered hepatic foci in rats. Res Commun Chem Pathol Pharmacol 1989;65(3):345-59. Walaszek Z, Szemraj J, Narog M, et al. Metabolism, uptake, and excretion of a D-glucaric acid salt and its potential use in cancer prevention. Cancer Detect Prev 1997;21(2):178-90. Walaszek Z, Hanausek-Walaszek M, Webb TE. Dietary glucarate-mediated reduction of sensitivity of murine strains to chemical carcinogenesis. Cancer Lett 1986;33(1):25-32. Walaszek Z, Hanausek M, Sherman U, Adams AK. Antiproliferative effect of dietary glucarate on the Sprague- Dawley rat mammary gland. Cancer Lett 1990;49(1):51-7.